“I tried so hard and got so far, but in the end it does not even matter – I have to catch it all, but in the end it does not even matter” … crap, catchy earworm. But no wonder: full here, sold-out Schleyer-Halle. Everyone is singing along. Clapping and mobile movies is also very fashionable. Linkin Park hardly lacks popularity. The fans of Californian pop rockers not only like to sing, they are also considered extremely loyal and flatten anyone who says something against the boys. And I ask you to credit me for the sack-high, that I do not say anything about “Park Guards” now. But if there is anything really positive about the quintet, then at the most, that they are a sextet or because of me, that they leave no stains. Sterile and germ-free. Metalboygroup, wild and dangerous like a plastic cover for the couch. Okay: they also write hits like crazy ones. The Futureheads from Sunderland make the Vorturner. Kaiser Chiefs 2.0 indie skirt, very snappy, not particularly exciting but quite entertaining. Meanwhile, in the hallways of the Schleyer-Halle, preparations are in full swing. “Oh, give me two beers,” says one. A boy in the brand new Linkin Park T-shirt next door asks, “Dad, how much coal do we have left?” And another shouts at his iPhone: “Waaat?! ?”, “Nope, right ?!”. “Oh man”. Then he cheers: Augsburg shoots the 1: 1 against Union Berlin. Long live the livestream. Then: light off, phone camera on and off you go with “Wretches & Kings”, a poor third-party use of some very good ideas, the Ministry or Nine Inch Nails back in the day had and there’s a few bad dance beats, hopefully only Linkin Park for hip hop or electro. The latter are just really awesome anyway, have recently mess up even a plate with it. “A Thousand Suns” means that and even diehard fans claim that this is very big crap. I heard in the smoking area and behind closed doors. Swear. Inside, everyone turns on completely. Opulent stage construction, super light, videos – everything is so colorful here. The hits, on the other hand, are only able to distinguish well-known connoisseurs “Papercut”, “Faint”, “Numb” and so on. Anyway, the mood is great. Finally, on Friday evening, you want to have fun. 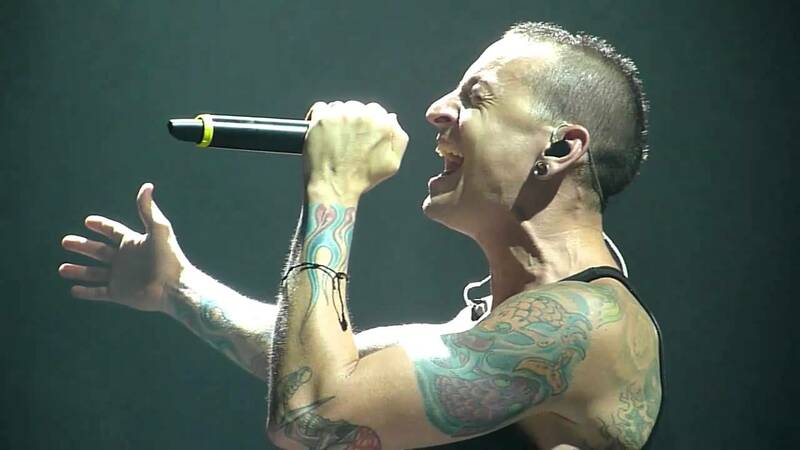 Passion-free and formally taped with samples, half-playback and sequenced songs, Linkin Park chokes the last spark of life out of their tusks and poses nicely through the program. Feeling of life on demand: On one occasion, singer Chester Charles Bennigton gives the self-destructor on the triangular stage, sometimes the timid and sometimes the rampers. He does fine. And sure, it’s good to be back in Stuttgart. I often go that way. But I do not bring a huge video screen every time. Clear point for Chester and his boys. “Breaking The Habbit” too. Great song. I would like to be called Chester Charles Bennigton. That sounds like British gentry, After Eight, Burlington, tea and lush meadows. Timelessly noble. The Zeitgeist helped Linkin Park turn into one of her best ideas of recent years: Because hardly anyone seriously wanted to hear rapmetal, Mike Shinoda has largely set to spit Rhymes in the worst DJ Bobo style. Now play more guitar and piano, turn buttons and sing. It was a good decision, even if now and then he considers himself a tight MC. But who wants to blame him? In the stands, some guys dance as if they were Jay-Z and are kissed by women. Other women like to scream like crazy. Girl too. Ecstasy everywhere. What Linkin Park is doing there is almost perfect, routine and somehow gap-tight plus blur. But the suspicion creeps up on me that this is exactly the point of the jackpot, gain, sticking point: They always look like a live DVD. Tip-top illuminated and technically up to date. Sadly, you can not go on, for example, with the brutal kitty “Iridescent”, the low-inspirational electro for beginners or the meaningless drumming that makes even the Safri duo look like an artist. The band is a single compromise. 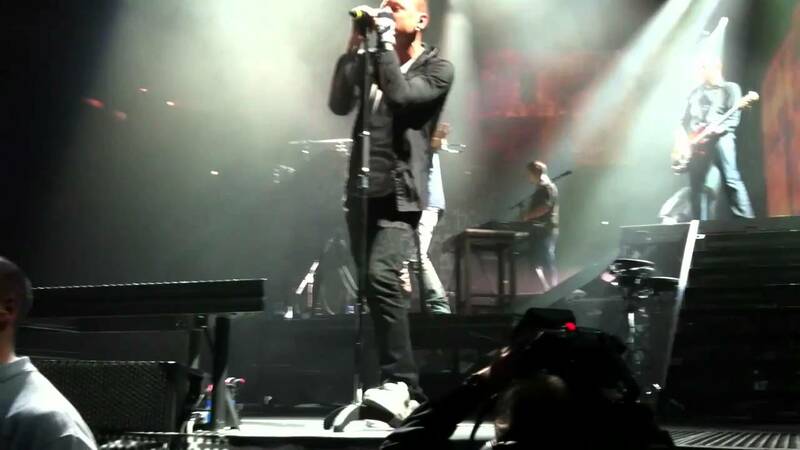 Linkin Park calculates user-friendly, which has been offered over the past few decades to contemporary pop music and peck the grip out. Oh, almost forgot: there are ballads too. These, in turn, seem to always sound like “with or without you” from U2 in Linkinpark’s understanding. God knows why. Or ask Bono. No idea. “Love keeps us alive” Bennington languishes in the hall. I hope he means that too. After 90 minutes, the fun finally stops. Pack earwig and nothing like away.